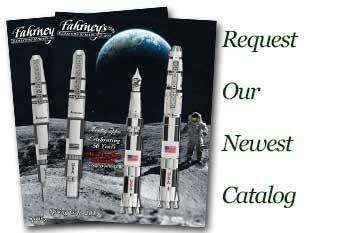 Order your Pelikan Classic M200 Smoky Quartz Fountain Pen Gift Set Special Edition today from FahrneysPens.com. Fine Pens, Refills & Luxurious Gifts – great prices & fast shipping. 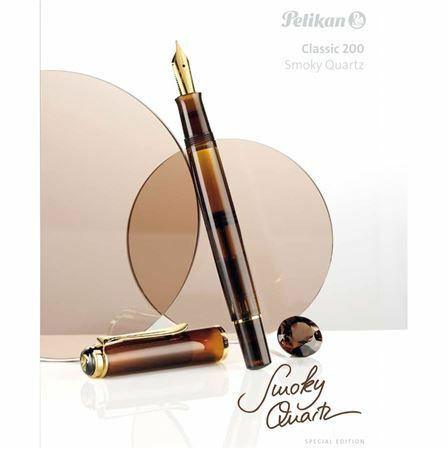 Pelikan presents a Special Edition series to match its 2017 Ink of the Year – Smoky Quartz! The rich translucent brown will exude a warmth and sensitivity to all of your handwritten correspondence. The specially developed resin gives the color depth, yet allows a glimpse inside the pen. Gold-plated clip and trim add a bright accent to the pen’s appealing finish. The 200 Smoky Quartz is available as a piston-fill fountain pen with gold-plated steel nib and as a ball pen with push-top activator. The fountain pen also comes in a Gift Set with a bottle of Smoky Quartz ink. Bottle fill only.